Over-watering your lawn can result in fungus and spur excessive weed growth. Nutri-Turf has been associated with Turf Tech for 20 years and in that time we have never experienced a problem. We consider Turf tech to be both highly professional in their business and very knowledgeable understanding proper turfgrass management principles. Nutri-Turf considers their reputation to be of the highest standards. We have used Turf Tech for many years and they have done a great job for us and our customers. We recommend them to all our maintance accounts and anyone that calls and needs a spray program. In 30 years of running Greenthumb we have tried others but not since we found Turf Tech. Bigger is not always better and I tell my customers a company is only as good as their employees. Don't be fooled by the green frog or the guy that tells you they are the biggest in the United States. Pick a company with good supervision and we have found that with Turf Tech. 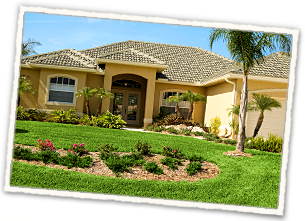 We have been very satisfied customers of Turf Tech for more than 20 years! Turf Tech is wonderful, safe, and great around the family, children and dogs. I've been a customer for 8 years. I've worked with Andrew before and he is respectful. They are worth every penny. We are very satisfied with our service from Turf Tech. We typically have the same service tech come to our house and he is great. He always remembers to service a small area in our backyard, locks the gate…little things that are important to us. Cannot remember his name, but kudos to him!!! I have few if any problems with Turf Tech and would recommend them to my friends. It's great. It's safe. I have been using Turf Tech about 3 years. Used Turf Tech for over 13 years. Always reliable and good feedback on the lawn health from the servicing individual. Being so far away from my rental home, I needed someone I could trust to take care of my lawn. Turf Tech has been doing an excellent job for me! Better prices and my lawn looks great. Good results….look out for dollar weed and treat. Very satisfied. I like the fact that we have very few weeds. Good work by Turf Tech. Applications are on time; grass is taken care of well. Have used for over 6 years. Great service. My neighbors let their weeds overflow into my yard and 72 hours after Turf Tech came, the dollar weeds were gone from my yard. My neighbors don't tend to their yard and thanks to Turf Tech there is what seems like an invisible wall between my lawn and theirs. I have been renewing my contract with them for two years now. They remove any and all weeds as soon as I call them. They are awesome! Very Satisfied. The company has done an excellent job of maintaining our lawn. We have the best lawn on our street and the neighborhood. We have been customer for several years and depend on Turf Tech to help us keep it that way. Thank you Turf Tech. A very good, professional experience. I've been with Turf Tech for four years. They do a good job for me. If I have a problem, I call them and they send someone quickly to resolve it. I would recommend them to other people with a yard. They're good people. They do everything for me. Lawn, tree, and pest. I have every service they have. They are good honest people, I've used them for years. Great service. We have been fully pleased with the services given. They do a great job. Very knowledgeable. Excellent customer service. Very responsive. We are very satisfied with Turf Tech. No problems through many years of service. 5 star. If I have any problem with the lawn, (pests, etc) all I do is e-mail them and they come right out. Have been receiving above average service and have recommended them. Excellent service. Service provider was very respectful and polite. Pleased with response time to "calls". They keep my lawn healthy and I have NOT had to resod as many of my neighbors have! They have always done a good job and come with I call them for problems in my lawn. Excellent service. Price is reasonable. I am very satisfied. Great customer service. I frequently recommend this company to friends. I have used Turf Tech off and on for about 30 years. They are always issues with the weeds, but they are always willing to make an extra effort if I complain or it's the right season to treat them.